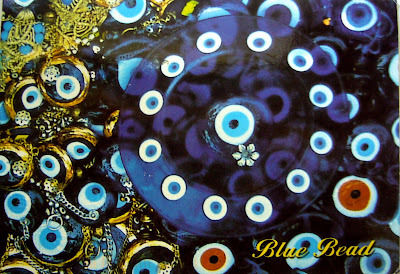 Sadi, a postcrosser in Istanbul, sent this beautiful blue bead, believed to keep bad luck and evil at bay. He wrote that the beads, called nazer boncugu in Turkish, can be seen all around the city. With good luck to all! 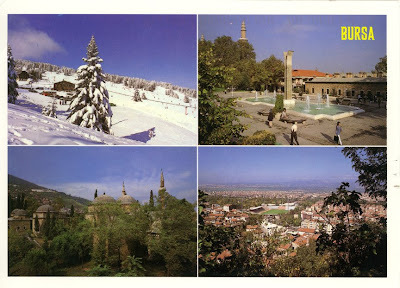 This jewel-like stamp showing a lush scene from Ordu was on the blue bead postcard above. Mrs. October returned to the theme of baseball with this card that arrived yesterday. 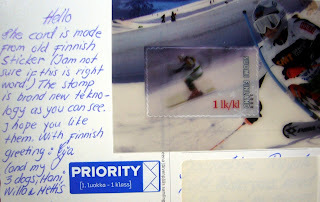 This humongous, and very clever, lenticular stamp of a zigzagging skier was on the Finnish card shown below. 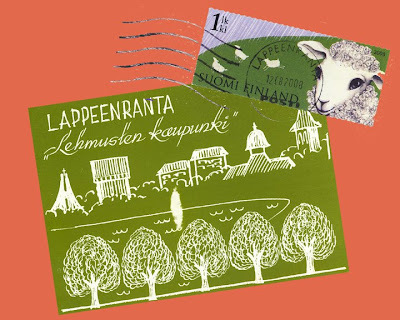 Leave it to Finland for another great stamp! 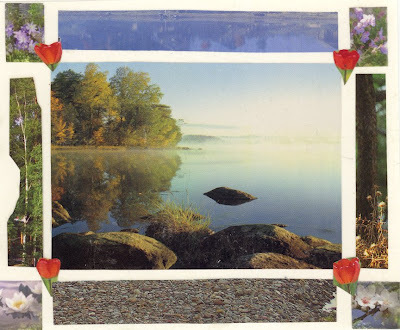 A Finnish postcrosser sent this nostalgic card made from a retro sticker, with greetings from herself and her three dogs. She's a chow fancier. Love the breed myself. 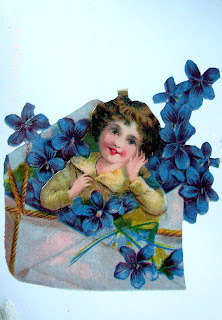 This pretty stamp was on a card from Mrpotani. Who knew that California was a republic? 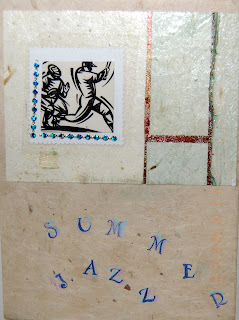 A fabulous card from a Parisian postcrosser, just back from the Beijing Olympics. 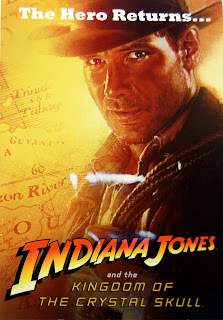 It's my favorite type - a lenticular card. 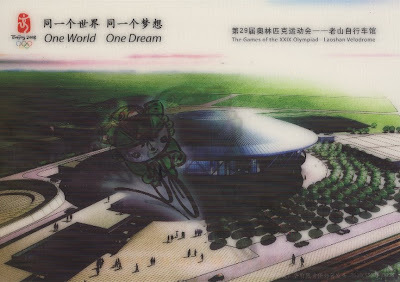 It has a moving anime girl riding a bicycle past the Laoshan Velodrome. I LOVE it!!! 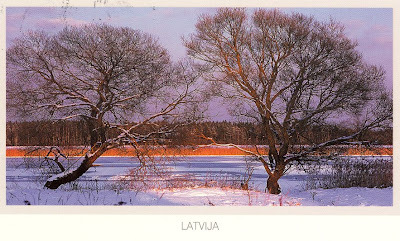 A lovely wintry scene from a postcrosser in Latvia. It's most welcome today, as we are sweltering in San Francisco. A nice temple card from a postcrosser in Taiwan. 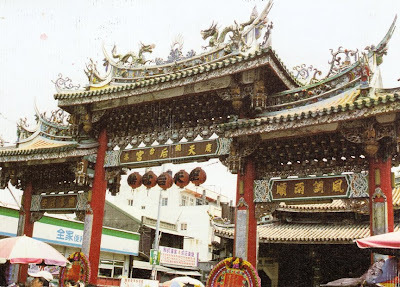 This temple was built during the reing of Emperor Yungli of the Ming Dynasty. 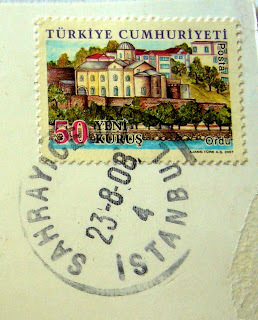 Received this lovely card from a Turkish postcrosser. I was in Bursa in 2002 but my only vivid memory of the place is eating a delicious Iskender kabob at a lovely restaurant. Yesterday's mail brought a trio of images, two light and one dark. The two, from Jessie F. (aka Mrs. October), sandwiched the third, from Mrpotani. 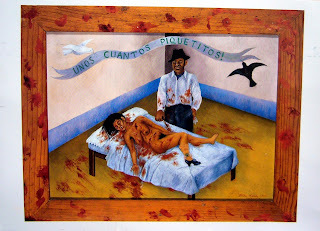 That card was of an unsparing painting by Frida Kahlo, in a show of her work now in San Francisco, which I missed in Philadelphia. I've posted the cards in the order that they came. 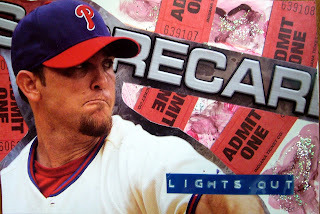 Brad "Lights Out" Lidge is the closer for the Phillies. On the mound he looks mean but word is that off it he's a sweetie. I made this card to send to Mrs. October. What better name for a pitcher than Outman? 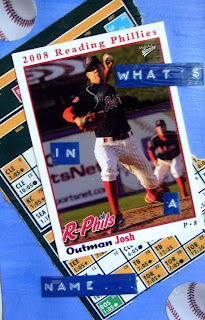 I picked up the 2008 player cards on my last trip to the Reading ballpark. This wonderfully named prospect was part of the trade to Oakland this summer for Joe Blanton. This National Museum of Ireland card features a limpid photograph of Galway Bay taken in 1945 by Padraic Mac Dubhain. 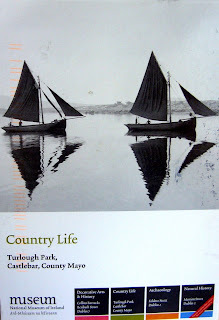 It was sent by an Irish postcrosser named Siobhan, who wrote that sailing boats such as these were used in the past to carry food, animals, and other things to the islands off the west coast of Ireland. Wish I were there. 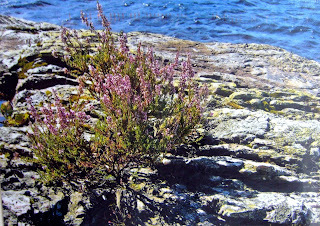 German postcrosser Kristina took this image of her favorite heather while on a canoe trip in Sweden. It's a great image and I thank her for sharing it. I also love this stamp of Ingmar Bergman, which was on the card below. Thanks, Anette! 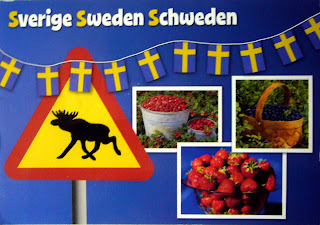 I very much like the fresh design of this card sent by Swedish postcrosser Anette, with its elk crossing sign and strawberries, blueberries, and (maybe) lingonberries. 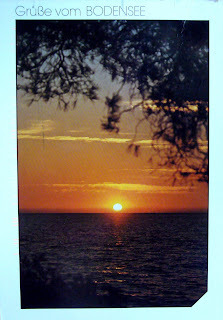 German postcrosser Tanja sent summer greetings from Bodensee, where she was vacationing with her family. My German-Canadian friend Inga has been back from Europe for almost two months. 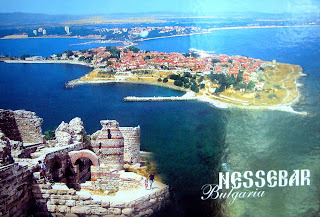 Today's mail brought this card she sent from Nessebar, a resort town on the Black Sea. Here's another upside-down image from Mrs. October. When I see her late next month, I must ask about these. A fabulous cigarette card arrived from a postcrosser in Brazil. He writes, "I don't smoke and I hope you neither!" Thanks Mauricio for this wonderful card! 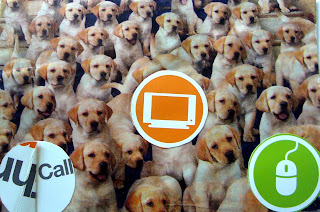 Isabel Y. sent this "very very (not to say) very" sweet thank-you note from Australia, on the back of the card below. She incorporated an image of the owl bookmark I sent her in her drawing. The pink/green/white remind me of the hishimochi set out for Girls' Day. A great surprise, a priceless card! 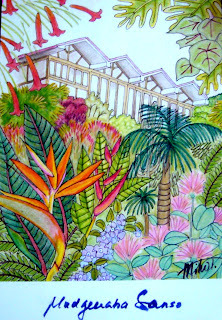 This is the lovely picture on the 'back' of the card, showing Isa's home in Mudgeeraba. Her mom, Margaret Price, an old friend from Tokyo, teaches Japanese tea there and runs an art gallery. Check it out at www.gallerytokonoma.com.au. 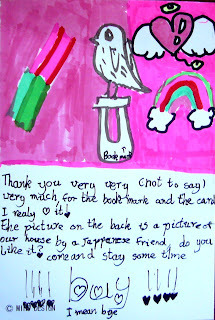 A postcrosser from Hokkaido sent this chatty postcard. She has never been to Kyoto and this is her very first handmade card! 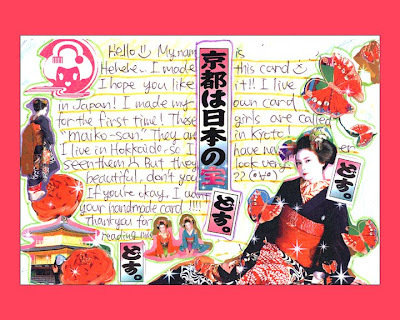 I like the way she filled in the front of the card with words - a Japanese tradition where content is written on the front, the address on the back. 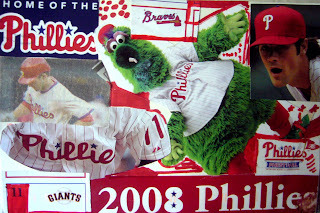 It's hard to beat Chase Utley, Cole Hamels, and the Phanatic. 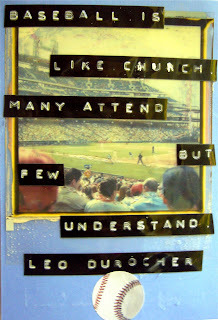 Another card from Mrs. October/Jessie F.
Sometimes Jessie F. makes cards that do not have a baseball theme. "the night of the arts"
There were lots of fingerprints all over this Kaj Stenvall image, sent by Finnish postcrosser Anu. Anu has a young son and a Tibetan spaniel, works in a laboratory, and runs in the forest. Sounds like a full life. 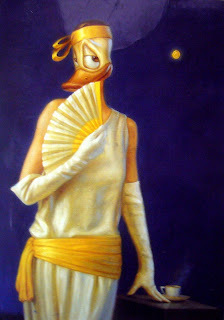 Mrpotani sent this image by French painter Eva Gonzales, from a show of women Impressionists. 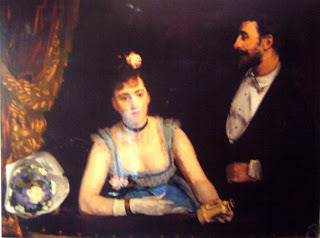 Gonzales studied with Manet but died young in childbirth. I made this card for Mrs. October. Maybe she'll pick up on the reference, which is to a local brouhaha in Philadelphia. Bonzour! Postcrosser Satanik-skull sent this non-satanic looking card from Mauritius. The card brought back memories of a young rock and roller from that far away island. He was the lead singer in a band comprised of two Turkish guitarists and a female Tunisian vocalist. 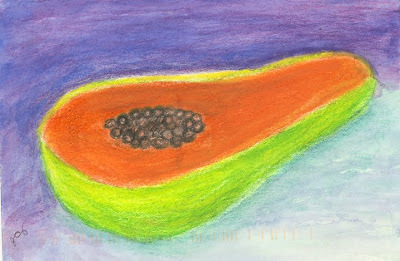 This sweet card & stamp were mailed by 3-year old Emilia's mom in Lappeenranta. The title of this post translates to "Summer Greetings from Finland!" Mrs. October made this amusing request to call. 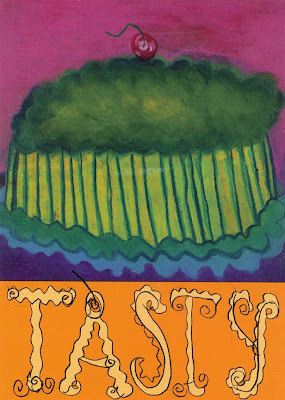 This lovely hand-drawn/painted card was sent by Jean C in New Jersey. 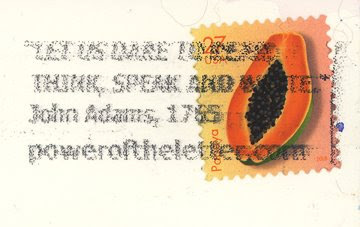 It echoes the papaya stamp on the other side. 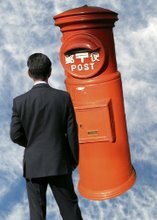 She's also become a Postcrossing addict! This wonderful penguin stamp came with a colorful card depicting Chinese letters written by Kim Jeong-Lee. 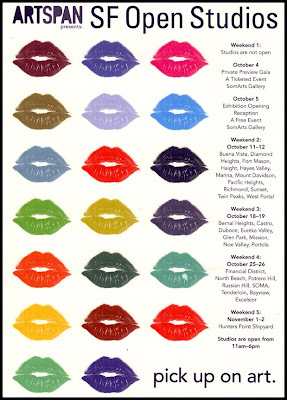 This year's Artspan postcard features lipstick kisses in a rainbow of candy colors. I will be exhibiting on Weekend 3. 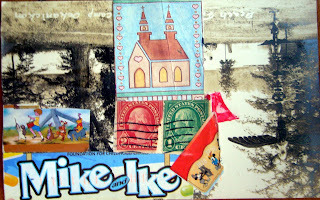 I received this great collage card from Finnish postcrosser Eija. She taught me the tongue-twister Finnish word, ymparistoystavallinen, which means environmentally friendly. Thanks Eija! Bratislava designer Julia Kunovska sent me images of new work with these stamps on the envelope. 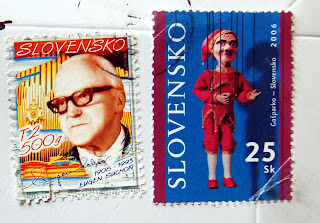 One shows Slovak composer Eugen Suchon, in a pensive mood, the other a puppet much like one I bought in the early 1990's on a visit to then-Czechoslovakia. 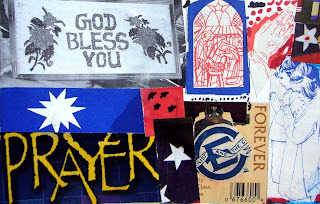 These are the two cards I submitted to the mailart show in Miskolc, Hungary. 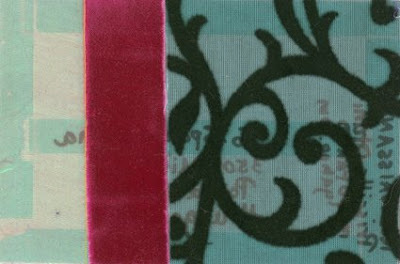 The top card is made with aqua vellum, lace, velvet ribbon and luminous silk. The bottom card is made with lush fabrics. I received this email from Hungary. The deadline for submission is coming up very quickly - August 29, 2008 - so send your submissions right away! The postcards I sent are displayed in the blog above. on the occasion of the Renaissance Year 2008. 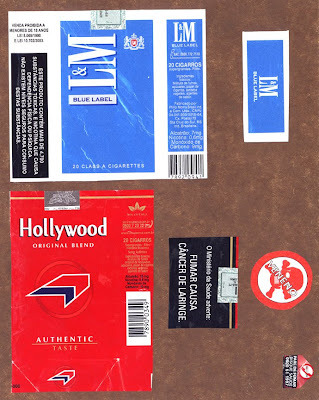 Art's project called 'The Cultural Webroom of Europe 2010'. We would be honoured to see you among the participants of the exhibition. The exhibition is exclusively held for works of the theme concerned, created for this occasion and sent by conventional post. All the art works will be displayed independently of its form, size, material, technology, if it arrives as a postcard, a letter or a package. 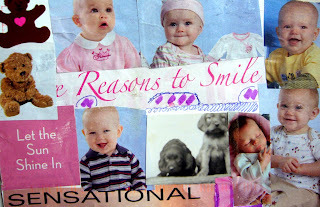 Any other type of work delivered in an envelope or in wrapping also will be exhibited if it not only has a link to the topic of R_ENAISSANCE but refers to the mail art as well. Number of works is unlimited. 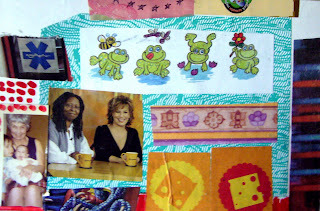 Mail art can be two or three-dimensional works of art posted 'uncovered' and those put into an envelope (or other 'cover') whether they are drawings, graphics, photos, paintings, art stamps, seal prints, art books, objects or other works of art connected to the topic stated. 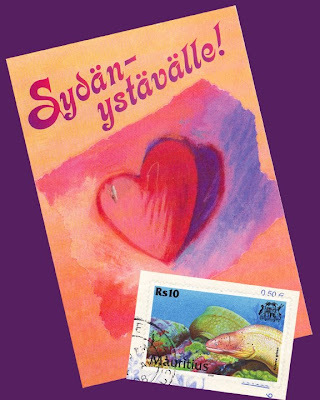 Feel free to use the most postal elements or extra services possible (spectacular stamps, registered letter, special delivery) in order to decorate your mail art work. The digital catalogue of the exhibition is expected to be seen at www.mailart.hu in English in the 9th October, 2008, the day of the Word Post Day. Beside the pictures of the collection, a photo and the biography of the author will also be included. You are kindly requested to visit www.spanyolnatha.hu/reneszansz, fill in the Information Form and forward it to us by pressing the 'Send' button, on 1st September 2008 the latest. Information Forms are only accepted via Internet. Only those authors' pieces of works will be included in the catalogue whose photo and biography is also attached. For more information on the Rennaisance Year in English visit www.spanyolnatha.hu/reneszansz. 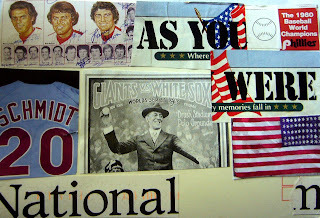 Mail art works sent to the exhibition comes to the property of the Marcelland International Art Collection. 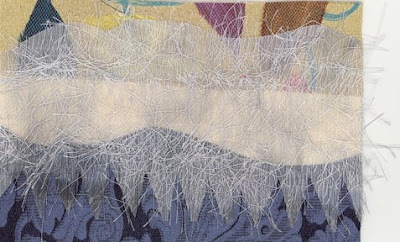 Organizer institutions establish an International Mail Art Award. Each Award-winners are given a diploma and have the opportunity for an individual web-exhibition of their works in the SpanishFlu NetJournal of Art in 2008. Award-winners are to hold the opening ceremony of their exhibitions in the House of Youth and Leisure, Miskolc, on the occasion of the premieres of the SpanishFlu editions. Deadline of arrival: 29 August, 2008. 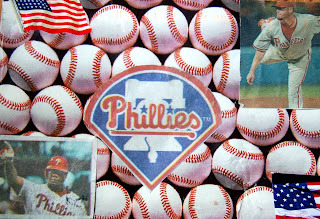 Mrpotani used oiled paper to make this jazzy baseball card. It smells wonderfully like the Japanese umbrellas standing in an old crock in a corner of my workroom. Mrs. October chimed in with another card dedicated to her favorite team. 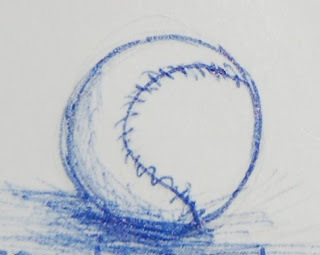 Anna also drew this cool ball on the back of her card and wrote that baseball is "a great sport!" Yes! Anna's got her own site at www.onyxstrasza.deviantart.com. 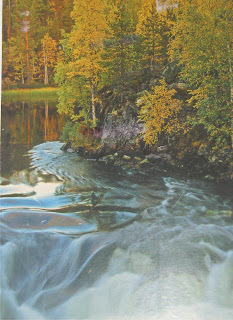 Finnish postcrosser Anna sent this autumn scene. Hooray for the changing seasons! 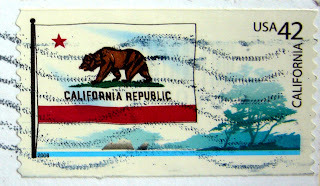 Yukiko used stamps from the early 1970's on her Harrison Ford postcard. Very cool! A Japanese postcrosser named Yukiko sent this card of her "best favorite actor." Thanks! 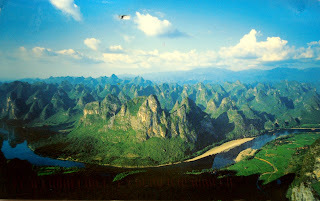 Xiaozhi, a Chinese postcrosser, sent this magical view of the Gui Mountains.